Hi, I'm Kimono. I live on the outskirts of Ponyville in a peaceful little gazebo. I like peace and quiet. And that is why I live out of town! ^_^ My cutie mark is two Chinese lanterns. Come to me with your problems, solving them is what I do best! Call me Kimmie. @sweetiebelle99 Nothing really. Just a bit of reading. !portalponi I was surfing YouTube and I found a hilarious Portal Turret commercial.. http://www.youtube.com/watch?v=E1fjDowRlhg&feature=fvst It's really funny especially for anypony who likes portal. @mewzs 'kay. I just didn't want anypony to go on without me. @mewzs #ooc Just pretend he is on. Nopony in that cell really knows my character, so it gives me good chance to introduce. @frostbitepuckroyalguard *walks into jail, disguised as jail guard with a keyring, and unlocks door* You are all free to go. !portalponi I fixed the design of the group page.. I hope you like it! !portalponi Just created new group for all of you portal fans out there.. You know who you are. @rotation Hi. I am doing well thank you. How are you? @sugar Well hello there! How are you today? @sleepingautumn Good morning to you too. @applebloomsarepetalknives Its alright, it will be published sometime. @applebloomsarepetalknives I do that as well..
Did anypony watch the portal video I just dashed on here? Favorite the last comment I made if you liked it. 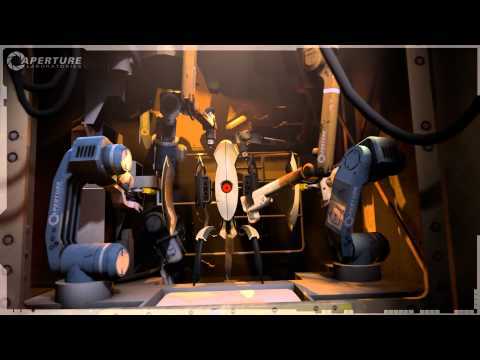 #ooc Heres a quick vid for all of you Portal fans out there.. http://www.youtube.com/watch?v=dJiV1KizA0I Enjoy! @fialvert Alright, I live just slightly outside of town, just stop by in the morning if you still need help. Helping ponies is my job, pretty much. *turns and walks off toward home* (grumbles under breath) Well that was for nothing..
*sees @fialvert at library* Oh, hello there. I'm Kimono, call me Kimmie. @atticus recommended me to come over here to solve some sort of problem for you. How may I help you? @atticus *sighs* Alright, I'll go. *gets up, hops across river, and walks toward library* Thanks again. @atticus *sighs sadly* To tell you the truth, not really. Which is, as I have mentioned before, why I live out of town. Now, how may I help you? #ooc If somepony roleplaying in !dischordisaster could visit Kimono and ask for her help would be a good place for me to jump in. I would very much like to join into the roleplay, but I would find it hard to jump in..
@atticus #ooc What can i do in it? When can I come in? It's kind of hard, my character is a reclusive problem-solver and I don't know where she could play in. May I join in the roleplay? Is there anypony I can be in it? It sounds very fun.